It’s just one month since we launched the National Maternity Review, giving you a chance to have your voice heard on maternity services in England. I have already met some inspiring individuals with important things to say about how services can and should be improved. Dr Bill Kirkup CBE, who led the Morecambe Bay investigation. Dr Neil Bacon, whose organisation, iWantGreatCare, provides a platform for service users to share their feedback. Professor Charles Vincent, who is an expert in clinical risk management. Joanne Partington, whose company, One to One Midwives, works in partnership with the NHS to provide a personalised service to women. These areas began to really take shape during our second meeting earlier this week. We focused on how, together, they can and will make a demonstrable difference to the experience and outcomes that women, their babies and their families can expect from maternity care in England. Our next stage will be to develop these areas into more detailed, actionable plans. We understand just how important it is that the voices of women, their families and health professionals are heard. Our work on communications and engagement will be particularly key to ensure that this happens, as well as supporting our work in other areas. We are in the process of developing an engagement plan which will include a number of regional drop-in events to allow us to listen to a diverse range of voices, as well as more traditional forms of consultation. We will publish full details of these events as soon as they are confirmed, and look forward to hearing from you all as the review progresses. In the meantime, you are invited to contact england.maternityreview@nhs.net with any questions, comments or suggestions you might have. 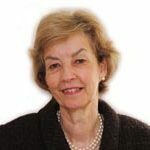 Baroness Julia Cumberlege CBE DL was appointed a Junior Health Minister in 1992 and for five years she covered all Health and Social Services matters in the House of Lords. She has been commissioned by two Governments to produce two national reports: “Neighbourhood Nursing – a Focus for Care” and “Changing Childbirth”. At the invitation of the Royal College of Physicians, Julia has chaired two working parties. The first report “Doctors in Society” was published in December 2005. The second, “Future Physician, Changing Doctors in Changing Times”, was published in May 2010. From 2000 until July 2006, Julia chaired St George’s Medical School.